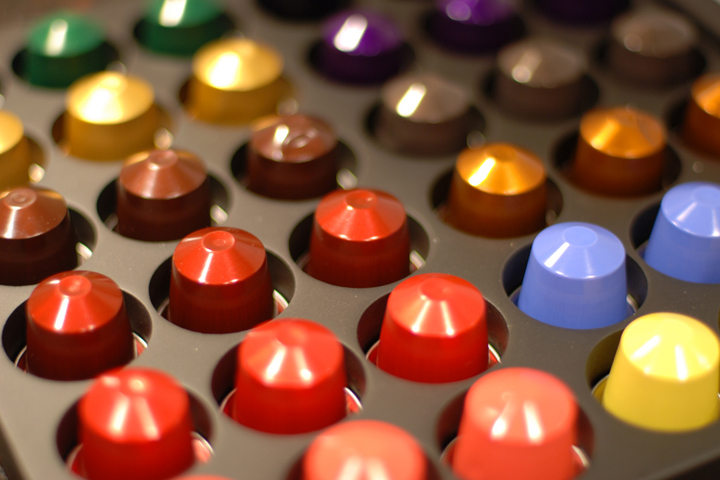 Musings on coffee, consumer culture and a circular economy. I was saddened to read the report on Treehugger that Renato Bialetti died earlier this month. Bialetti brought his father’s iconic invention, the Moka coffee maker, to the masses in Italy and the World. Over 200 million of these design classics have been sold internationally and a Moka can be found in 90% of all kitchens in Italy. I bought my first Moka 20 years ago during my gap year in Paris, but unfortunately lost it several years later. I bought a new stainless steel one just this January and am delighted by the fresh espresso it produces each morning. Why, I hear you ask, is this relevant to readers of this blog? Simply put, the Moka is the sort of consumer product that we should be championing. With no electronics and no moving parts it is almost indestructible. It produces coffee on the stove, so no heating element is required. It has a simple reusable filter for the coffee, so no disposable pods are needed and the grounds can be added to the composter. It is constructed of only three materials, all of which can be easily separated for recycling at the end of its long life. Contrast this to the four coffee machines and cafetières I’ve bought over the last few years, all of which have broken in a relatively short period of time. I’d almost given up on fresh coffee until I remembered the timeless Moka. Why should I buy the latest coffee machine when I know it will require a supply of non-recyclable pods before it burns out in a couple of years time?Now it’s fair to say I’ve been the target of light-hearted gibes from friends and family over my approach to ‘consumption’. Why should I buy the latest coffee machine when I know it will require a supply of non-recyclable pods before it burns out in a couple of years time? Why should I replace our 10 year old telly just because it doesn’t have a flat screen? What’s wrong with having the elbows on my casual shirts patched to extend their life? And why should I take an internal flight when the train will get me there almost as quickly but will generate a fraction of the carbon emissions? The term ‘New Puritans‘ has been adopted by the main stream media to refer to the increasing number of people to self-regulate their culture of consumption. Fitting squarely into this bracket, I should stress that I’m not holding myself up as a paragon of low-impact living. I just happen to feel strongly that we’ve all got to understand that our patterns of consumption aren’t always environmentally sustainable. ‘In pursuit of the good life today, we are systematically eroding the basis for well-being tomorrow.’Tim Jackson writes in Prosperity Without Growth, ‘The vision of social progress that drives us – based on the continual expansion of material wants – is fundamentally untenable…In pursuit of the good life today, we are systematically eroding the basis for well-being tomorrow.’(1) Naturally, you won’t hear much about this from mainstream politicians. Our current economic system relies on consumption, obsolescence and more consumption. From time to time, we are sold the myth that our ingenuity can decouple growth from environmental impacts, but it’s a fallacy. Consider how we use materials for example. In Europe today, 95% of the value of virgin materials is lost after one use cycle, in spite of recycling efforts (2). Developing a circular economy must therefore be at the forefront of our approach to dealing with sustainability and climate change. Such an economy keeps resources in use for as long as possible, extracting the maximum value from them whilst in use, and then recovers and regenerates products and materials at the end of their life (3). This was the story told by Braungart and McDonough in their international bestseller Cradle to Cradle back in 2002 (4). It was a book full of optimism for how we might reshape the stuff of everyday life to avoid a bleak guilt-ridden future. Disappointingly, although with some notable exceptions such as the carpet industry, little progress has been made. Until the circular economy takes hold, I’ll resort to my New Puritanism and my Moka coffee maker. 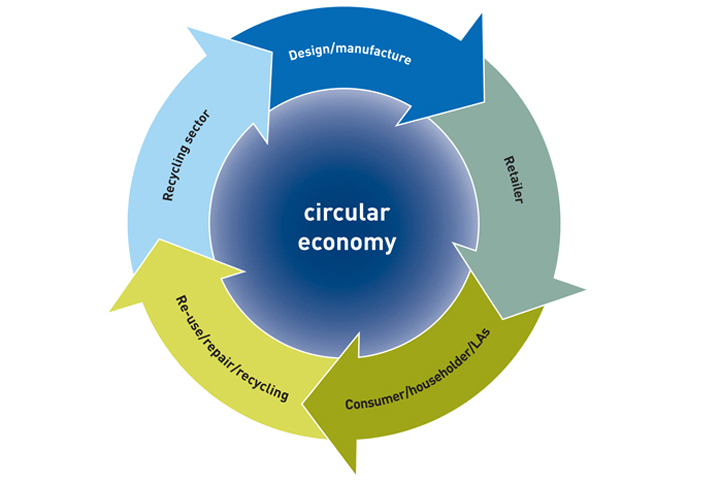 (2) Circular Economy – The Forgotten Low-Carbon Vector, Circulate. I have a reusable filter which can sit on top of a mug, however I do find the coffee gets cold quicker as it take a while to filter through, therefore what I tend to do is make it in a jug by pouring boling water onto the ground coffee, and then pour it though a tea strainer into the mug. Simple and all equipment reusable!